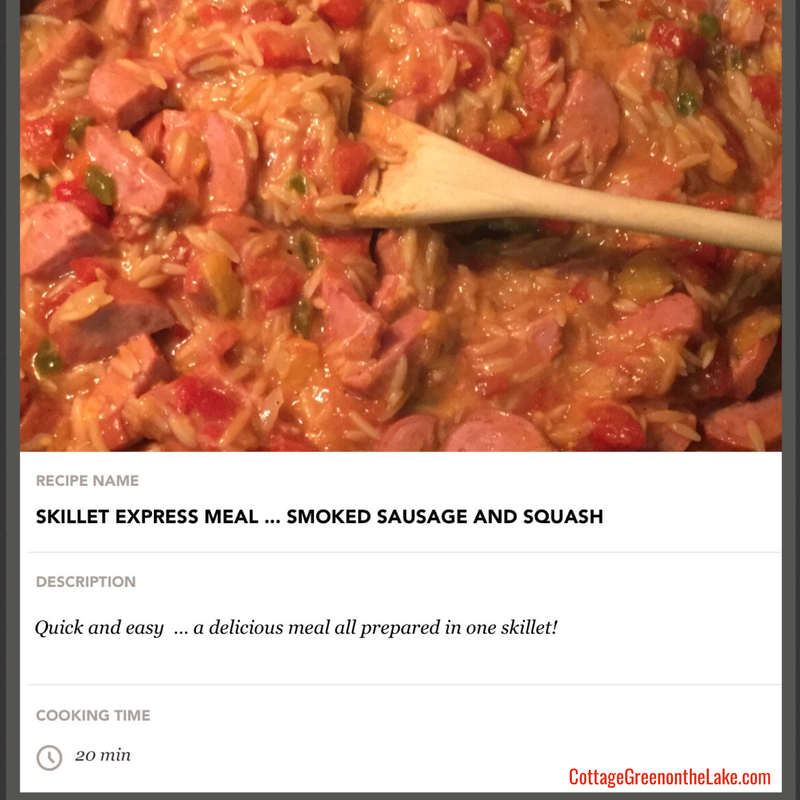 Author cottagegreenonthelakePosted on November 12, 2018 Categories Autumn at the Lake, Lakehouse, home, decor, Picnic, Recipe "Skillet Express Smoked Sausage and Squash"
Sounds yummy!! Have to try this. Please tell Richard we appreciate him and his service and sacrifice to our nation. Means a lot and made a difference. 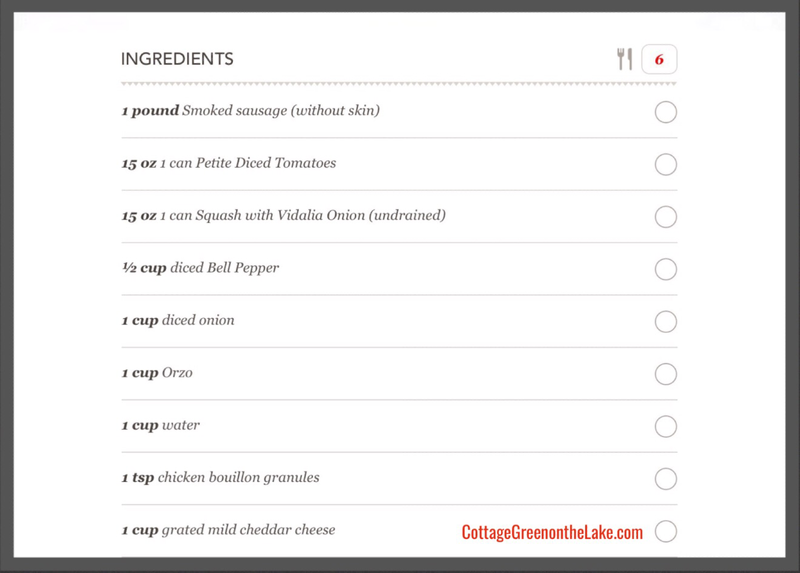 It is delicious and you’ll love how easy it is to make! I certainly will tell Richard.